In their owner’s backpack, on wagons and in boats: medieval books were keen travelers. With them they carried texts and ideas across the map of Europe, disseminating the sciences, spreading romances and passing on historical narratives. Short texts may have moved from A to B because they were committed to memory, by troubadours for example, but longer texts more likely traveled in the form of ink on a parchment or paper page. Remarkably, while it must have been quite normal for books to physically move between monastic communities, cities and even countries, the phenomenon is almost completely hidden from our sight. Occasionally we get glimpses into the transportation of books and the rational behind it. 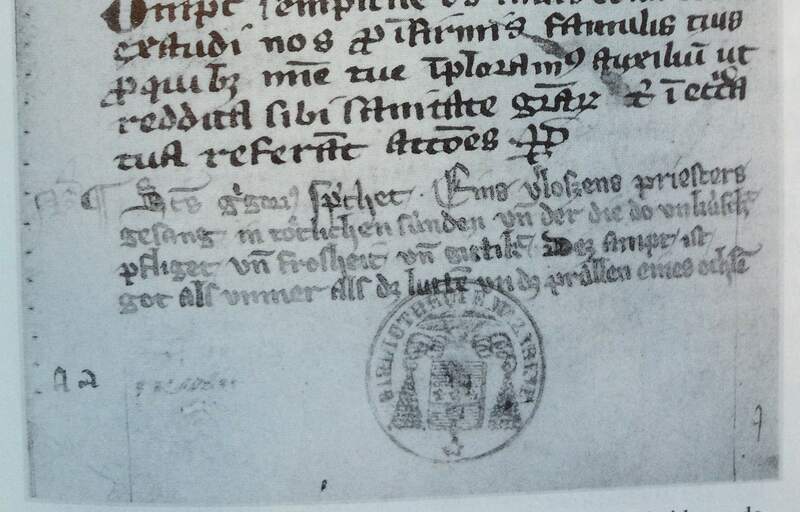 Court records show, for example, that when in 1423 a boat with commercial goods was seized in Nice, a batch of paper prayer books was among the confiscated items. When in the late fourteenth century the monks of Herne Charterhouse fled to Brussels to escape the war, they brought their library with them. Patricians in the city subsequently acquired copies of some of the Carthusians’ books: they especially craved after their Middle Dutch religious texts. On the other side of the Alps, in the late eleventh century, Constantine the African entered the abbey of Monte Cassino. He arrived from Africa, where he was born and raised, and he likely took a modest library of medical works with him across the pond. 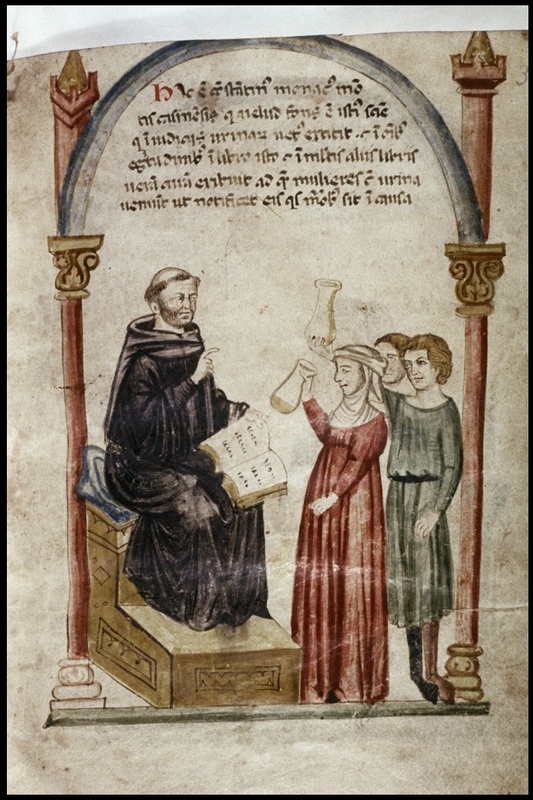 In Italy he would gradually translate twenty-four of them from Arabic into Latin, sparking the birth of modern medicine in a changing Western Europe. Commercial endeavors, wars and emigration: these are all valid reasons for a book to travel. However, in spite of the fact that a fair amount of surviving manuscripts will at some point have been on the road, the objects themselves reveal surprisingly little about their itinerary. An unusual exception are three booklets that would ultimately find a home in Rooklooster Priory just outside Brussels. All three include important mystical tracts: Brussels, Koninklijke Bibliotheek, MS 3067-73, fols. 2-14, which includes a sermon by Eckhart; and Paris, Bibliotheque Mazarine, MS 920, fols. 2-45 (Ruusbroec) and 120-144 (two letters by Hadewijch). All three were copied c. 1350 and the ex-libris inscriptions they hold, entered on their flyleafs by Rooklooster librarian Arnold de Short, tell us that they had become part of the priory’s library in the very early fifteenth century. Their journey to the priory was long and windy – and included crossing the border several times. Their complex itinerary is evidenced by German glosses and excerpts that were added to the Middle Dutch texts two or three decades after the latter were copied down into the slim booklets. The Brussels booklet contains just a few glosses, suggesting a German reader had difficulties reading Middle Dutch. Similar additions, except more, are found in the first of the Paris booklets. The first two pages alone contain as many as forty German glosses, be it that all of them were erased later (you can still read some of them of you hold the book in a certain angle). The foreign contribution in the other Paris booklet is more elaborate and complex. It entails several short excerpts from religious texts in Latin and German, which were added to pages that were left blank in the last quire of the booklet. All of these foreign contributions date from 1350-75. 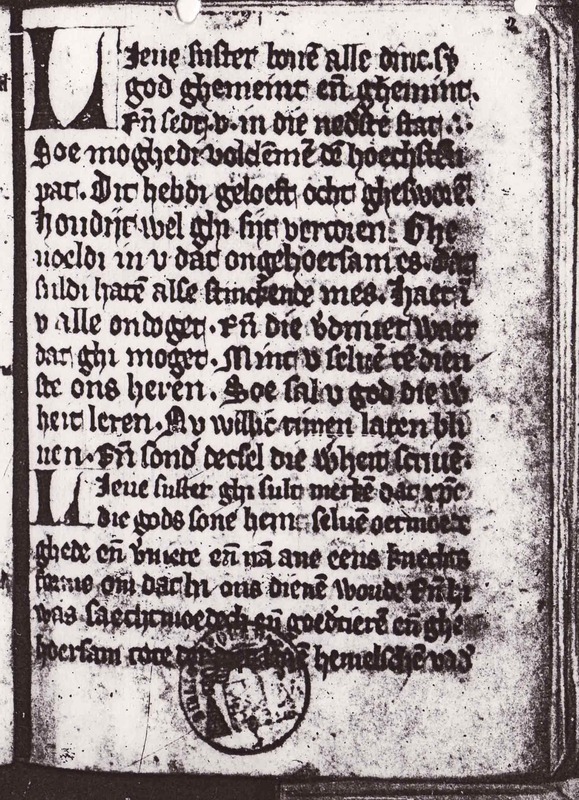 The Dutch booklets are ‘living’ witnesses of a network through which mystical texts were exchanged between the duchy of Brabant (in particular Brussels) and cities in Germany (Cologne) and Swiss (Bazel). The booklets were made in Brabant in the middle of the fourteenth century. Research has shown that the Brussels booklet was likely commissioned from a commercial scribe by a patrician in town, who also had another part of the composite manuscript made (Part 4, with more Eckhart). After one or two decades, in 1350-75, the tiny booklets traveled to a German reader or community. The latter seems the more likely scenario for Paris, considering it holds not just one but several additions. By the early fifteenth century the booklets had returned to Brabant and were present in Rooklooster Priory. This intriguing case of the traveling mystical booklets raises important questions. How were the objects actually transported? They are small (c. 130 mm in height, encompassing only a few quires), so perhaps they were put in a backpack? One of them was folded for a long time, which suggests it was placed in someone’s pocket. Were they made this small for the very reason that they would be on the move? And why did they travel to a different country? Were they gifts for kindred spirits? Did they accompany their owner because he could not part with the mystical texts as he traveled abroad? Or were they possibly commercial items meant for sales? In spite of the lack of answers, the three thin manuscripts form one of the few tangible remains of the spread of Eckhart and other mystical works among lay readers in fourteenth-century Europe. I am here to stay! Having fun writing the blogs. Thanks for your comment.